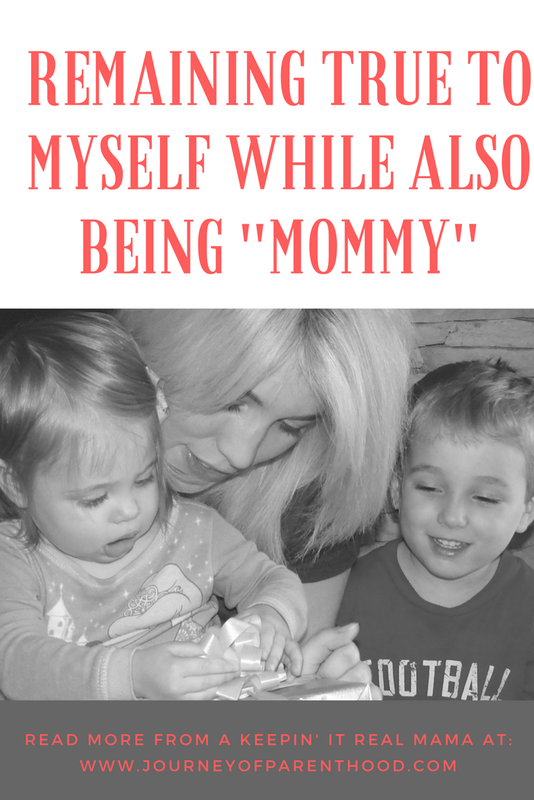 I am LOVING the series of blog posts that Kelly from Kelly’s Korner is hosting! SO many bloggers out there tend to be all about the negative and use their blogs to cut others down. I’m SUPER excited that these blog topics are all about encouraging each other and lifting each other up 🙂 I missed out on the first couple in the series but plan to participate in all of them from here on out. I take my role as a mom VERY seriously. I am honored to be a mother. I’m thankful to be able to stay at home with my children each day. However, I also make a conscious effort to stay true to who I am as a person outside of that mothering role. I have witnessed moms who completely lose themselves in their children. It’s an easy thing to do! Your children NEED you and they are constantly showering you with love, affection, praise, and attention. It’d be so easy to let myself get lost in that. Become only about them and nothing about ME. Staying true to our own identities is harder for moms than it is for dads. As an adult I feel like I know WHO my dad is more than I know WHO my mom is. In her car we’d listen to kids songs, stuff we liked. In Dad’s car? We listened to the Oldies station, stuff he liked. At Mom’s house we watched tv shows that were kid friendly. At Dad’s we watched his favorite programs. Etc. Etc. While I am def not saying I want my kids to be listening to Alanis Morisette, John Mayer, or Blink 182 and watching The Bachelor with me…I do think there is a balance there and it’s important to find it. Kye KNOWS Daddy loves football, specifically FSU and VSU. He KNOWS that Daddy loves to go golfing as they go together all the time. Does he know what my interests are? What I enjoy? 1. I take care of my appearance: I may LIVE in pjs most days around the house but I take the time to “get ready” anytime we leave. I am dressed decently cute everyday Kye goes to school. Even if the only place I’m going that day is to drop him off and pick him back up. I get my hair highlighted and cut on a regular basis. I watch my diet (thank you Advocare for allowing me to lose the baby weight and KEEP it off!). I try to stay “on trend” with my clothing choices while still being age appropriate. I take care of my skin, I use sunscreen, I take care in applying my makeup. Yes, I have to get up about 30 minutes earlier than everyone else to make sure I have time to get myself ready to go, but I think it’s well worth it. Taking care of my appearance is important to me for several reasons. I like to look good for my husband (and I’m thankful he is SO supportive about the COST it takes to keep up my appearance!). But I especially like to feel CONFIDENT about how I look. I like to feel GOOD about myself and knowing I look my personal best helps boost that confidence I feel. Yes, I am VERY confident about who I am on the inside too. I know I’m a great mom, I strive to be a good wife, a good daughter of God, etc…but I always feel my personal best when I know I look my personal best 🙂 I think it’s important to teach my children to take care in their appearance too. You don’t have to be a super model or anything but our world DOES focus a lot on appearance and it’s important to look our best! 2. Travel: I HAVE to get AWAY sometimes! Being home all day everyday with my kids is a true joy for me, but I get this little itch where I know the only way to scratch it is to get out of town. Even vacations as a family do the trick! Even just one or two nights away. Somewhere, anywhere. I am a very type-a personality and am always going going going. I’ve got a million to-do lists I’m always working on and I always keep my plate pretty full with responsibilities. Going away makes alllllll those things get put on hold. I can BREATHE and not feel any pressure to be doing anything other than just relaxing and enjoying my husband, children, or even just being by myself. I ALWAYS leave a vacation feeling totally refreshed and rejuvenated! 3. Maintaing Friendships: I’m blessed to live in the same town as a LOT of family and we do a lot of things with our extended relatives on a regular basis, however I think friendships outside of family are very important. It’s nice to have people who are just MINE haha. It sounds strange, but you know what I mean. My friends are emotionally invested in me. They want to know about EMILY. Not about Zach. Or even about the kids. They are who I can vent to when I have a bad day. Or share a crazy story with. Or confess worries or personal struggles I may be dealing with. I LOVE my core group of friends and am blessed to have so many of them who I can rely on! Whenever we actually get to see each other “in real life” it’s always a great time! It’s TOUGH to have girls nights but they are always worth the effort it takes. It’s like a little mini-vacation! Lots of laughter and fun and just a much needed break once in awhile to connect with women who truly “get me” and can help me stay true to myself! I’m especially thankful to have some friendships that have spanned over a decade…these girls have ALWAYS known me and can help remind me of who I am at my core during times where I may feel lost! Recent girl’s night out to Steak and Shake! 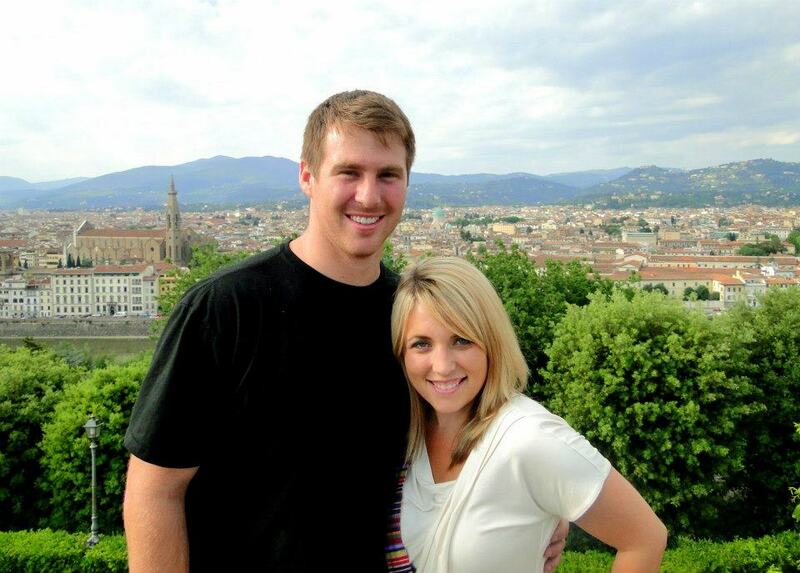 Enjoying one of our mommy/daddy getaways…in Italy! 5. Social Media: What in the WORLD did moms do before social media??? Having children on schedules means I don’t get to leave the house often (I consider myself a hermit of sorts) so social media is where it’s at for me! I LOVE Facebook. I LOVE Twitter. I LOVE Instagram. I just LOVE feeling connected to my friends. I love how this world of social media brings us all together. I have met so, so many wonderful people who have truly made ME a better person! Along with social media comes blogging. Blogging is my #1 hobby. I seriously looooove it so much. For me, more than ANYTHING else I do Blogging is the thing that keeps me most connected to who I am and allows me to express my truest self. Writing is the best way I share my feelings and it is a way for me to better cope with anything I might be struggling with. Something about venting it out in writing makes me better able to comprehend how I’m feeling and make sense of it all. It makes ME a better person when I can write! It also has allowed me to help SO many other moms out there and that fulfills me in such a deep way. I truly believe that my blog is my mission work for the Lord. I can reach people in a way that I’d never be able to normally. I did not start blogging with that intention but I’m so thankful that this is the route my blog has taken through the years! 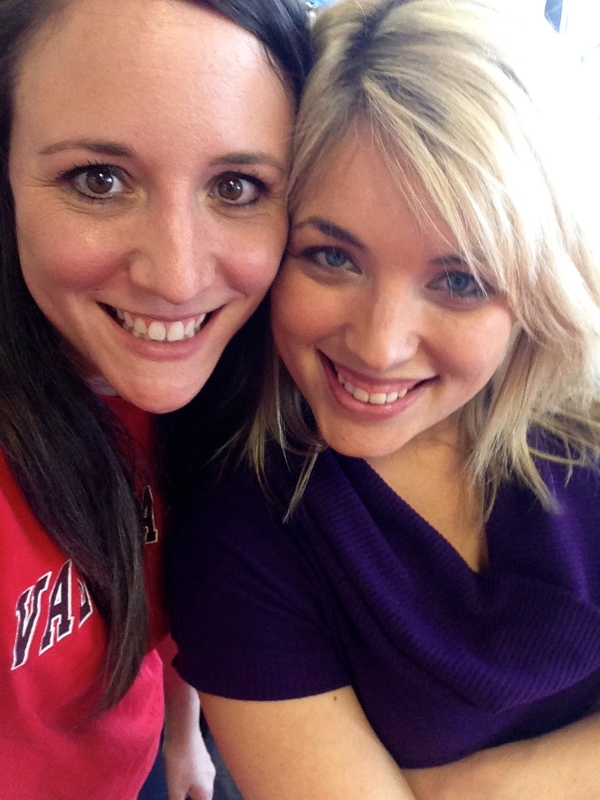 One of my closest friends, Robyn, who I met through blogging! Visiting some of my close blog buddies! Hopping over from Blue Eyed Bride… I am working on taking care of myself through working out and eating as clean as possible. I truly feel like I am a happy mom and wife when I am happy with myself. Sidenote: we are planning a fall 2014 Disney trip and I can't wait! Good point that it seems easier for the dads! And I think social media is so helpful, too! i love this – never thought of that – how my kids could list dad's interests and hobbies but not so much mine. great points. thanks for linking up! such a cute family. we are obsessed with disney – well, we live here. still obsessed. Emily, first off, you're awesome. Secondly, totally off topic but in your post about Kye's birth, you mention checklists of things to do before leaving for the hospital…do you happen to have these or remember what kinds of things were on it?? Thanks for all the sharing you do! !